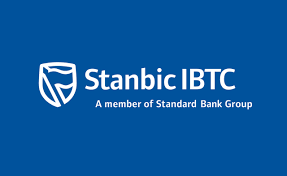 Stanbic IBTC has highlighted its resolve to maintain a gender-balanced workforce to ensure it continues to provide quality financial services to clients and Nigerians. The bank gave this pledge at its 2019 Stanbic IBTC Blue Women Network (BWN) fifth anniversary event held in Lagos in commemoration of the yearly International Women’s Day (IWD) celebrations. The 2019 IWD theme, “#BalanceForBetter”, was according to the bank, a significant opportunity to celebrate its efforts in promoting a gender-balanced workplace in society. Nike Bajomo who chairs the bank’s BWN, and is also an executive director, said women have a duty to be diligent at work and be positive about career growth, otherwise, the famed glass ceiling will limit advancement. “I urge you to do your bit to ensure that the future for the female folk is positive, equal, safe and fulfilling. I don’t see glass ceilings preventing me from attaining success. If you do, then you are getting in your own way,” Bajomo said. Yinka Sanni, the chief executive, Stanbic IBTC Holdings in his opening speech at the BWN event, said Stanbic IBTC is proud to showcase not only its equal opportunity policy, but also its efforts to promote a gender-balanced workplace in society. “In our 30-year history, we have always insisted on equal opportunity. We have also continued to lead the charge in empowering women. This gives me joy and is something that we are fully committed to as an organization,” Sanni said. According to the CE, “I am pleased to let you know that Standard Bank Group has recently joined hands with ‘HeForShe’ (UN Women Solidarity Movement for Gender Equality). Our Group Chief Executive, Sim Tshabalala, is amongst other African leaders who have already signed up as a ‘HeForShe’ Impact Champion.” On March 8, the official International Women’s Day, Stanbic Bank made a bold statement by changing the colour of its logos from blue to magenta, colour of the UN Women HeForShe brand, on the vast majority of its digital platforms, he added. The Stanbic IBTC Blue Women Network is a platform established to provide the women in Stanbic IBTC the opportunity to engage and share knowledge/information among themselves and in the process gain new insights that will enhance their professional skills.